The minister said terrorism was a major threat in many countries today but Prime Minister Narendra Modi had taken up the issue on the world stage and "succeeded" in bringing most countries on board the issue, he said. 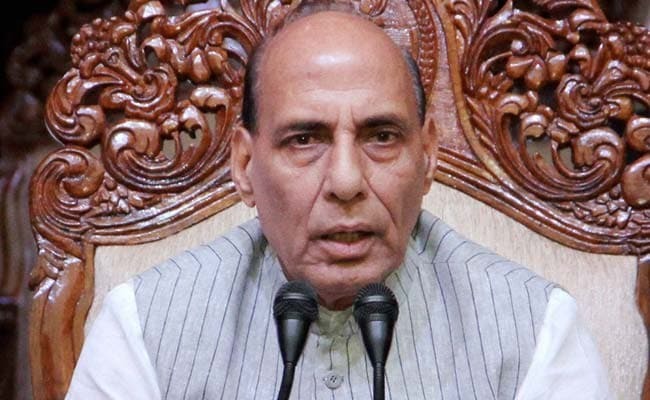 Arakkonam, Tamil Nadu: Home Minister Rajnath Singh today said anti-India forces which were unable to stomach its growing economy, wanted to inflict damage to weaken the country's economic and strategic position. The Union minister said India was emerging as one of the fastest growing economy and it was counted among the top 10 economies today. The world has started "realising" that India would be among the top three economies by 2030 when the size of the country's economy would touch US $5 trillion as against the present US $2 trillion, he said at a passing out parade of the Central Industrial Security Force in Tamil Nadu's Arakkonam. "But there are anti-India forces which generally don't like this...And they want to strike at those sensitive areas from where its economic and strategic position could be weakened," he said. "Terrorism is a major issue and many terror organisations have set their sight on India also...They wait for an opportunity to inflict damage on India," he said. The 9/11 attacks in the US and 26/11 strikes in Mumbai had shown that impact of terror attacks could be felt for a very long time, he said. He urged the CISF to hold regular security audits to ensure there were no terror attacks on the country's strategic installations. He also asked the force to develop a special wing to deal with cyber terrorism, saying it was an emerging issue.